Spring is officially here and with that comes the start of the home buying season! Buying a new home is an exciting experience, but it can be a nightmare if you make common first-time buyer mistakes. Not being informed on how a home purchase is conducted can lead to costly mistakes. The first error, many first-time buyers make, is trying to save money by doing it themselves. Avoid the following mistakes, and you’ll have a pleasant buying experience. After checking out your lending options, get pre-qualified. If you want to be taken seriously while home-shopping, you need to show sellers you have done your homework and are a serious buyer. A submitted offer that doesn’t include a pre-qualified letter from a lender may not even be considered. You have to show proof a lender is willing to finance your mortgage if your offer is accepted. Before you start looking at homes, get pre-qualified. You’ll prevent disappointment and save time by not looking at homes you know you can’t afford. Too often, first-time homebuyers feel they can buy a home without using a real estate agent. It may be because they misunderstand how the agent gets paid or because they feel the technology age gives them lots of information on how to make a home purchase. Neglecting to hire a buyer’s agent is a huge mistake. 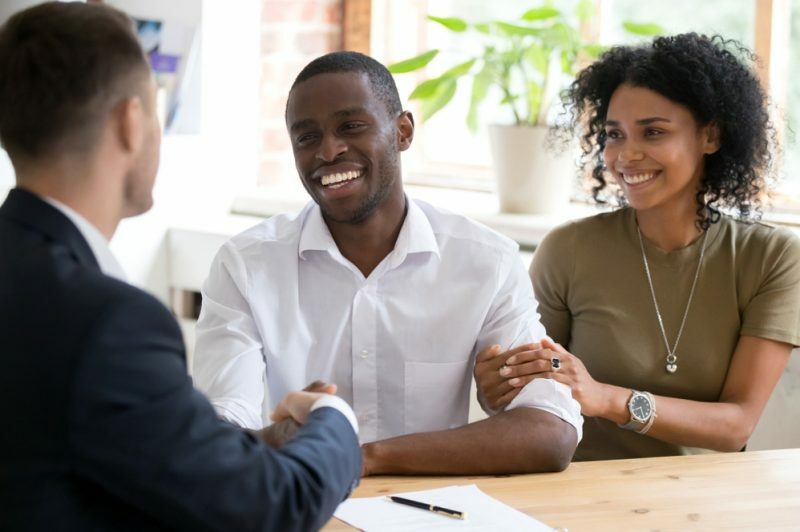 Your agent will guide you through the home-buying process, inform you when new listings go on the market, find properties within your budget, warn you of potential problems, watch out for your interests, and negotiate price to get the best deal on the house you want. Your agent will be working for you right through closing. The cost of buying a home doesn’t end at the closing. It’s essential you understand the real costs associated with owning a home. Property taxes, insurance, higher utilities, heating and air-conditioning (cleaning), maintenance, yard equipment, landscaping, snow blower, plowing, home owner association fees, trash pickup, and ongoing repairs are some of the expenses you may have to cover each year. Be prepared to pay closing fees and pro-rated taxes. There is no landlord to repair the roof, if it starts leaking, or the furnace, if it breaks down. The costs of all repairs fall to the homeowner. It’s important to set aside money each month in savings to cover the maintenance costs when they arise. You should also consider you may need additional furnishings and appliances, if you are moving from a smaller rental apartment. Have you figured out how you can make the $2,000 a month mortgage payment to get that house you want? Will you have enough money to cover repairs if the roof starts leaking, the furnace goes out, or your town increases property taxes? Some reports indicate a homeowner should have between one- and three-percent of the home’s value in their savings for yearly maintenance and unexpected repairs. It’s critical to approach buying a home with practical thinking and not with an “I love this house” mentality. Too many people make emotional decisions when buying a first home, and they don’t think about the reality of the additional expenses and possible repair emergencies that come with ownership. Think smart and practical. Buy a home that won’t drain your resources each month and will allow you to continue to add to your savings and retirement accounts each month. These important mistakes first-time buyers often make can easily be avoided. Don’t make quick decisions, and ask lots of questions. Live with a few home imperfections in the beginning that can be remodeled later. Your real estate agent can guide you through the process of purchasing a home, but you are the only one who knows what you can afford. Spencer Savings Bank is also here to help you on your journey with a First Time Homebuyer Mortgage, specifically designed for first-time homebuyers with reduced down payment (10% down with no PMI) and reduced application fees. Our experienced lenders will help you every step of the way. Learn more about our mortgage programs and rates on our website, visit your local branch, or call us at 1-800-363-8115 today!